Even if we are lucky enough to have lush eyebrows and thick, long eyelashes in our youth, as we age, they tend to thin. Many of us don’t realize how pivotal our brows and lashes are to our overall look until they begin to wane, or worse, become non-existent. There are prescription eyelash serums available like Latisse. Though they work for some, many are hesitant to go this route due to numerous side effects that can present including eye infections, allergic reactions or even the changing of one’s eye color. Forget it! For brows, semi permanent tattooing is available. This is a great solution if you can find an experienced practitioner, but they are difficult to come by and can be prohibitively expensive. Lash extensions are also an option but can be a struggle to maintain and care for. Having turned 40 this past summer, I’ve noticed that my eyelashes are becoming a bit sparse. To that end, I have been on the hunt for a product that would not only spur hair growth but condition my lashes. Lash extensions are not practical for me. They seem like way too much work. I tried a reputable, over the counter lash serum only to have an allergic reaction. I have extremely sensitive skin to begin with, let alone the skin around my eye area. 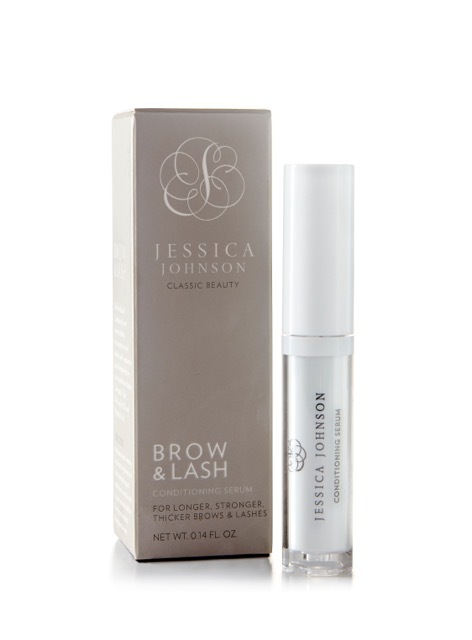 I was almost ready to give up when I came across Jessica Johnson’s Brow and Lash Serum. Jessica Johnson is the founder of – you guessed it – Jessica Johnson Classic Beauty and is known on the east and west coasts as the woman to see for sensational brows. With over 25 years experience in brow shaping, makeup and aesthetics, she is a recognized industry expert and innovator boasting a celebrity clientele. She has her own studio in Portland Maine and is the guest Brow Expert at the Yves Durif Salon at The Carlyle Hotel in New York City. Her Brow & Lash Serum launched in Spring of 2016 and has quickly gained recognition and endorsements by top physicians and prestigious salons and spas countrywide. I sat down with Jessica to learn more about her philosophy. 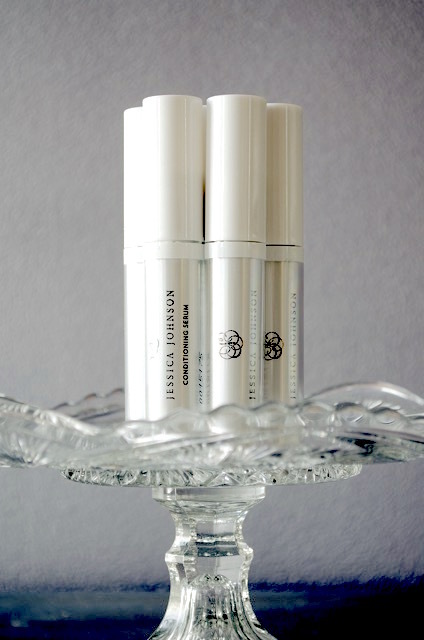 What inspired you to create Jessica Johnson Classic Beauty? Tell us the story behind the brand. JJ: Many years ago I came across a small book on personal style called “Simple Isn’t Easy” by Amy Fine Collins, a woman I admire greatly in the world of fashion. Interestingly, Amy is now one of my clients and a friend. The book’s message was women don’t need more clothing, just the right clothing. There are staples every woman should own, and from this she can build a style that is unique and timeless. The same is true for beauty. Women are buying more services and products than ever, but are frustrated with the results. Why? Because they’ve lost sight of the key staples every woman needs to celebrate her unique, individual beauty. In 25 years of practice working with thousands of women, I realized that the two critical elements to looking great are beautiful brows and healthy skin. You can have perfect skin and gorgeous makeup, but if your eyebrows don’t look good, everything is thrown off. I decided to open a special salon devoted to these two services and launch a simplified product line for lasting results at home. I did much of my advanced studies in skin care in Germany and Vienna and noticed women received facials on a monthly basis as part of a healthy lifestyle, not a luxury. The specialized brow and skin services I offer at my studio are modeled after these classic treatment protocols, and are quick and affordable. Like a manicure or a blow dry, these services offer instant, high-impact results. Our clients are now making brows and facials a part of their lifestyle and love that they need a lot less time to get ready. What differentiates your Brow and Lash Serum from Latisse and other treatments? There are lots of wonderful products out there. Latisse is a great product but you can only get it through doctor’s offices or with a prescription and for some patients there are side effect issues. What lead you to focus on eyebrows and eyelashes? JJ: I’ve been into beauty since I was 5 years old and I’ve always been drawn to the eyes. My mother was Greek. If you sat around a table with my Greek relatives, you’d want to go into the brow shaping business as well. But seriously, I’ve always been drawn to the impact that eyebrows have on the face. At my first studio in San Francisco, I shaped clients’ brows as a complimentary service. I knew once they left my spa this would be the first thing people would notice. Their face was a walking billboard for my business and I wanted it to be beautiful. It worked…I ended up with the largest brow clientele in San Francisco. JJ: Making people feel good. Helping people feel and look beautiful. Being named Guest Brow Expert at the Yves Durif Salon at The Carlyle Hotel and launching my product there. It’s always been my dream to work or live in New York City. They say if you can make it in New York you can make it anywhere. If you can make it at The Carlyle, then you’re really making it. After all, everything’s better at The Carlyle. It’s an honor to work alongside a great artist like Yves Durif and all his highly skilled stylists. When I stop learning or improving in this business is when I’ll get out. This group keeps me inspired to grow and always do my best. What is the most important piece of advice you can give with regard to lash & brow-centric beauty? JJ: Don’t over pluck…especially when you’re young. I have many clients who bring in their teen daughters because that’s when girls start to experiment and they end up with thin brows for life. Brows aren’t one size fits all. Don’t use a stencil or make them too precise or dark. 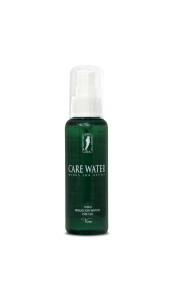 You want to work with and enhance your natural shape and texture. I see the industry moving away from the high-maintenance, over sculpted brow and towards a softer, fuller, natural look.